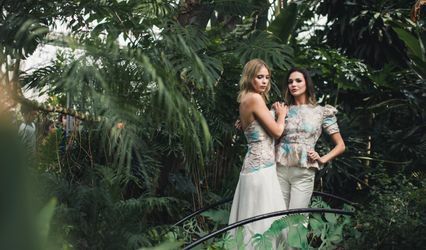 Ellie Day is a bohemian, yet glamorous bridal line based out of Oak Park, Illinois that serves brides all over Chicago and Western Suburbs. This unique and modern line is designed by Ellie Spoerer, a former designer for Betsey Johnson. 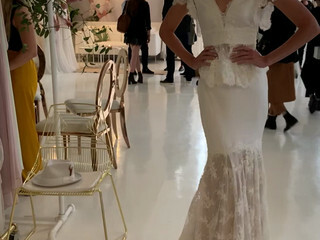 She formed her atelier in 2010, and prides herself on her whimsical designs that are perfect for the non-traditional bride. 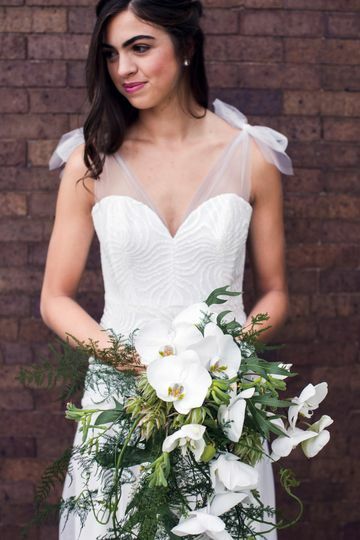 Ellie Day offers locally made gowns that are fully customizable, allowing your one-of-a-kind vision to come to life. I love everything about Ellie Day! Her designs are unique and her fabrics are gorgeous! It’s so refreshing to have pieces from a local designer that strives for beauty and quality in everything she does. 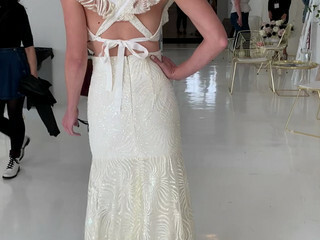 I had a wonderful experience selecting an Ellie Day ballgown for an upcoming charity event. The gown fits like a glove and she customized the lining to a perfect shade for me. I can't wait to wear it! 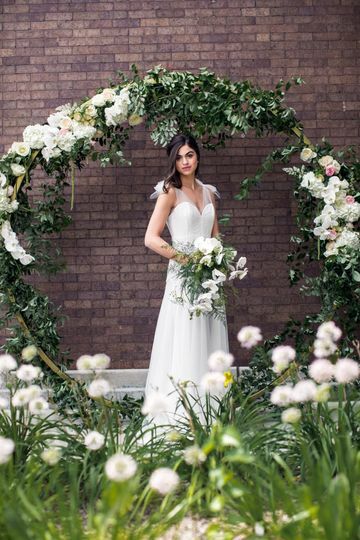 Ellie made buying a wedding dress a relaxed and effortless experience. My dress was perfect. She knew exactly what I wanted. I would recommend her to any bride! Tuesday 10-2, Wednesday 10-2, Thursday 10-7, Saturday 11-3 by appointment only.